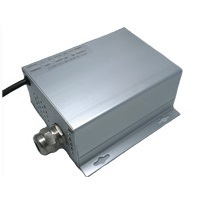 VOME Coredge Series of Light Engine is a illumination generator for Fibre Optic Lighting. Designed with the latest LED Technology and Thermal Management System that is most ideal for use in both indoor and outdoor lighting application. Coredge Light Engine Series rugged enclosure and flexible IP68 rated housing provide professional performance and reliability. Fully operational out of the box, just mount it and its ready for action.